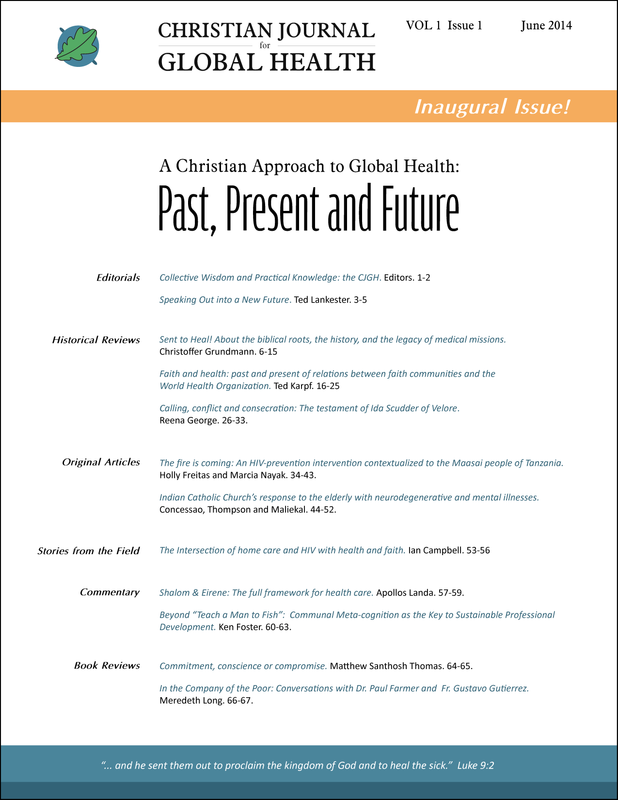 This inaugural issue introduces the scope and purpose of the journal and addresses broad engagenent for global health, a history of medical missions and faith engagenent with the HIV pandemic, and book reviews. Sent to heal! - About the biblical roots, the history, and the legacy of medical missions. Beyond “Teach a Man to Fish”: Communal Meta-cognition as the Key to Sustainable Professional Development.